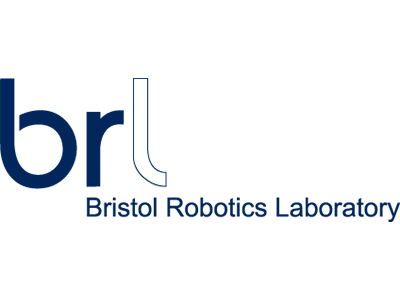 Bristol Robotics Laboratory (BRL) is the leading and largest academic centre for multi-disciplinary robotics research in the UK. It is a collaborative partnership between the University of the West of England (UWE, Bristol) and the University of Bristol, and home to a vibrant community of over 100 academics and industry practitioners, which lead current thinking in service robotics, intelligent autonomous systems and bio-engineering. An internationally recognised Centre of Excellence in Robotics, BRL’s state-of-the-art laboratory covers an area of over 3,000 square metres, and houses specialist workshops and wet labs, and two flying arenas with multiple 3D motion capture systems. It is a unique collaboration that harnesses the collective strengths of its university partners, and brings together the best expertise from industry and the academic community to spearhead Britain’s efforts to be a world leader in modern advanced robotics. Our mission is to understand, through research, the science, engineering and social role of robotics and embedded intelligence. The Bristol Robotics Laboratory carries out cutting edge research programmes focused on the development of autonomous robot systems. The BRL’s vision is to transform robotics by pioneering advances in autonomous robot systems through the elucidation of the underpinning mechanisms required to create robot systems which behave intelligently without human supervision. Researchers are the life-blood of BRL, and their work is the driving force behind the advances we have achieved and aim to achieve in the future. BRL’s current interdisciplinary research portfolio addresses key robotic capabilities and applications including: embedded intelligence, autonomous robot systems, human-robot interaction, energy autonomy, collective locomotion, tactile sensors and haptic feedback systems, motion tracking/positioning systems, unmanned aerial vehicles, swarming behaviour, dependability, wearable and pervasive systems, medical and rehabilitation robotics, machine vision, and bio-inspired architectures.